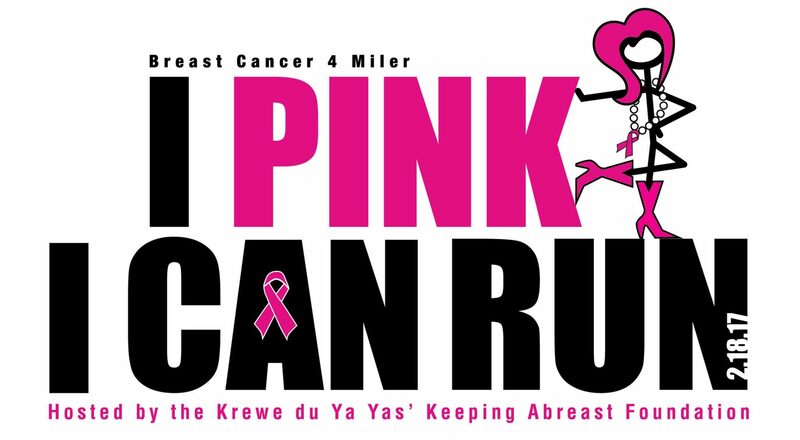 Join the Krewe du YaYas’ at our 6th Annual I Pink I Can Run 4 miler run walk for breast cancer. Great course, food, swag, fun, after-party and cause!! All proceeds from this event benefit The Keeping Abreast Foundations’ mammography and breast health programs. Tickets are $30 through 2/19/19. Price Increases to $35 at packet pick up and race day.